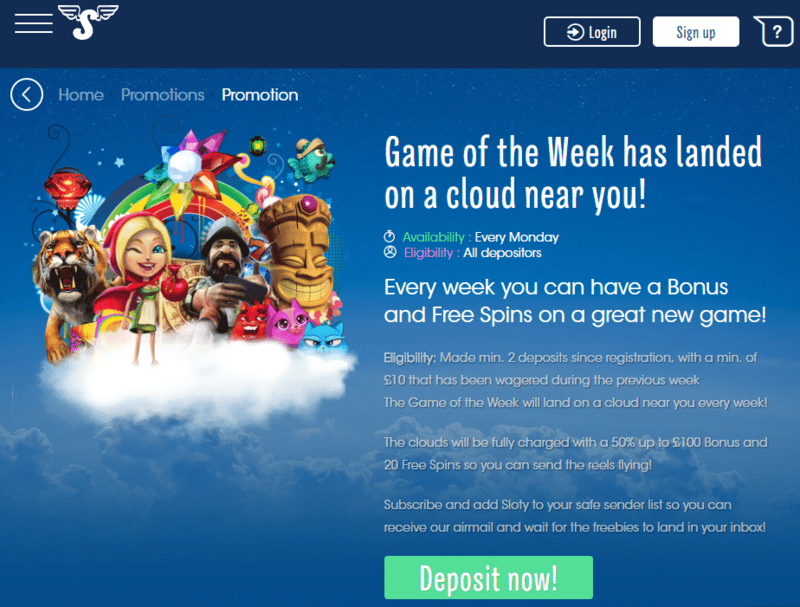 Sloty Casino even makes Mondays a lot better with their Game of the Week promotion. It brings you a 50% match bonus up to £100 and 20 Extra Spins. In order to be eligible to receive it, you need to have made a minimum of two deposits since registration and at least £10 wagered the previous week.